Let's discuss your website options. It's easy! Listed below is a collection of free website programs and applications that I often use, or have recently come across, to enhance my nonprofit websites. I believe these are darn good alternative to its paid (fee based) more known variations. But are they free only to nonprofit organizations? With the exception of a couple, they are available to all. Anyway, let’s take a look at them, shall we. For qualifying nonprofit organizations (sorry, schools and hospitals are excluded), Google will allow you to access many of their most well known services (e.g. : G Suite for Nonprofits) for free, including: Gmail accounts, web hosting, Google Maps and most importantly, their $10,000 per month of free AdWords account. If you can budget the time to work these freebies, you will enjoy some really good marketing and communication tools. Similar to what Photoshop and Adobe Fireworks offer in their photo editing packages, Photopea can alter and optimize your web images–but without the expense of premium Adobe programs. This online photo editing app requires no downloading of software. Create graphics and visuals for your website with their easy drag-and-drop interface. Canva is free for qualifying nonprofits. See the video at: https://youtu.be/XqYti78riU8 for instructions. This is a superb screen capture and screen recording utility that allows you to create tutorials and other on-screen media that you can then add to your website or upload to YouTube. Once you’ve created a video, you may need to edit the length, unusable parts, resolution and other settings. 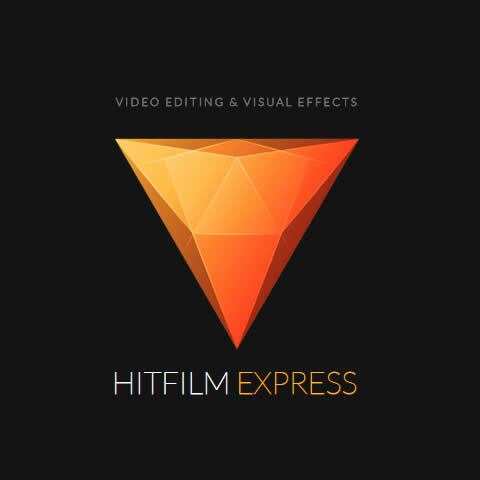 Hitfilm Express is a free video editing program with a lot of features and robust editing options. This is a powerful PDF editor alternative to Adobe’s version. Then you can add text and graphics and existing text, as well as to split and merge pages. Just select the “Launch Online” version to get started. This is a quick and easy tool that evaluates your inputted password and will determine how long it would take for a computer to crack your password. Example: richard5 (5 minutes). Richard5&Dog (34,000 years). VLC media player is a free, open-source, cross-platform media player that will play nearly any type of video format. It is one of the must-have apps to have on your desktop. If you are not sure of your website’s written content’s grammar, try this free browser plugin. UnSplash: High resolution, beautiful and soulful images. A real alternative to Getty Images when you are seeking something more unique and less stockish. StockSnap: This service offers a vast selection of stock images (ones that have that stock image appeal). They do, however, offer up paid images as well (usually the first level selection). Dreamstime Free: Very generic, but often times useful images. Pexels: This site offers hundreds of thousands of images that go from stocky looking to that of armature to professional photographer. Life of Pix: Similar to the style UnSplash offers, these are stunning, hi-res images that make you want to spend half a day going through. TechSoup, a nonprofit’s nonprofit, offers a variety of free and low-cost stuff for your nonprofit office. They also have informative articles to review. Dot Org Web Works (that’s us) is offering 3 months of free website upkeep and maintenance when you have us redesign your website. Learn more about it here. Get 3 Months of Free Website Maintenance. The intelligent way to get your cause and services noticed is to use website design professionals who are also nonprofit professionals.